Dear brothers and sisters in Christ, dear people of God, the ministers in charge of the churches in this Parish, friends and families of those to be confirmed, it is a great joy to be with you today and share in this important milestone in the lives of these candidates. 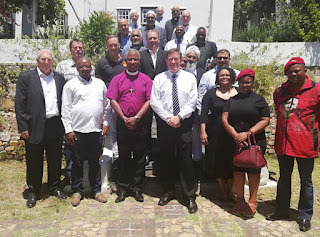 Thank you to the Rector of this parish, to Rob Taylor of Christ Church, Doug Kirkpatrick of St Luke’s, Diep River, and Natalie Simons–Arendse of St Philip’s, Wetton and all the retired ministers present here today. 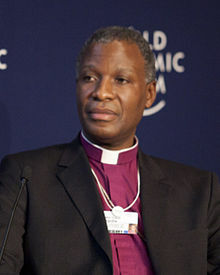 I was not aware that you have so many ministers and I wish we could deploy them to the vacant parishes in the diocese. Thank you for inviting me to this service and also for ensuring the preparation of the candidates. Thank you, Rob, for planning the service. A warm welcome to you all – and thank you most importantly to those who prepared the candidates for confirmation. A special welcome to the parents, godparents and friends of those to be confirmed during this service. The story of the call of Jeremiah is one of my favourite passages in the Bible because it speaks to me. “Before you were born I knew you” - God knew us even before our existence and called us to be his own. Even you, confirmation candidates, God knew you and the testimonies you shared this morning are indicative of that. Today we come in the presence of God to give witness to this special gift with which God, out of his goodness, will endow you, the candidates: the outpouring of the Holy Spirit into your lives. The rite of passage that you pass through today will empower you to practise your faith more effectively in every aspect of your existence, deepening your relationship with God and strengthening your spiritual lives. Jesus says in our Gospel reading: “Today this scripture is fulfilled in your hearing.” As you have learned in your preparation classes, at your confirmation you receive the seven gifts of the spirit: wisdom, understanding, counsel, fortitude, knowledge, piety and fear of God. These gifts, as we will hear in the introduction to the confirmation service, are given to you to fulfil three important purposes: you receive the power of the Spirit for worship, witness and service. Let us look at our lives of faith through each of these three lenses and ask ourselves: what insights can we draw from each as we prepare to fulfil our confirmation vows in our Christian lives today and beyond? Of the three, worship comes first. Everything else we do flows from this. Worship is what we do through praising and paying homage to God. It begins with fear of the Lord, which is one of the gifts of the Spirit. Fear of the Lord of course doesn't mean we should be shivering in terror, it is more positive than that – it means we should stand in awe of the Lord. But today’s reading from Luke’s Gospel (4:21-30) gives us a picture of how, instead of being in awe of God, people sometimes reject the manifestation of God in their lives. In the synagogue in his home town, Nazareth, Jesus was presented with a scroll from Isaiah 61:1ff to read, in accordance with the custom of the time. That passage, declaring as it does that “The spirit of the Lord God is upon me, because the Lord has anointed me,” anticipates the coming of Christ, and on reading from the scroll, Jesus gave a discourse on its fulfilment. Here we find present fulfilment, personal fulfilment and gracious fulfilment: “present” in that what the prophet foretold was now finally coming true; “personal” in that the person of Jesus was the One anointed with the Holy Spirit, and “gracious” in that the era of God’s salvation had arrived. Jesus’ listeners were at first amazed by what he said. But they quickly turned hostile, taking strong exception at him making what they saw as such a pretentious claim – not believing it was possible that a young man from their town was the fulfilment of the promise of Isaiah. Jesus in turn saw their attitude as being one of disbelief, that because they didn’t see him perform miracles in their sight, they failed to see him as the fulfilment of prophecy. So all Jesus could do was remind his listeners of what the prophets of Israel did when they were faced with similar challenges: they had performed their wonders amongst the heathen. Jesus implied that when Israel rejected God’s messenger of redemption, God sent God’s messenger to the Gentiles, and that this would happen again if the people of Nazareth refused to accept him. His listeners saw that this applied to themselves and that as a result he would direct his attention to others and not to them; also that God’s compassion was more for the Gentiles than to the multitude of Jews. This ignited more wrath and anger against him. This Gospel reading invites us to reflect on how we would respond in our context to such a message. If you were Jesus, what would you have done? What else could Jesus have done to draw these people closer to the fountain of Life? What can be done in regard to those who still do not believe in this day and age? This is where we can bring witness and service into the picture. If we fear God, holding God in awe, then the closer we come to God the better our lives will reflect the values of God's Kingdom as true witnesses. A witness is one who testifies to what they see, to what they know and to what they experience. Our lives – through our words, actions and attitudes – should witness to our God, the Creator of all that is, seen and unseen, the God who knows every hair on our heads, who cares for us more than we can ever imagine. Above all, all of us who are here today – but I particularly address you, the confirmation candidates – must witness to the God of love. St Paul in, 1 Corinthians 13:1ff, says even if we can speak in the languages of the angels – if we do not speak of love, it is nothing but a noise. This is the love of Christ that manifested on the Cross. Sisters and brothers, we are called to live out God's love in the world, to love our neighbours as ourselves. This is the greatest gift that God has ever given to humanity. Paul concludes this chapter by highlighting faith, hope and love – but emphasising that of these three, the greatest is love. Because God is love and has communicated his love to us, we are commanded to love one another. Love supersedes the other gifts because it outlasts them. Long after these sought-after gifts are no longer necessary, love will still be the governing principle that controls all that God and God's redeemed people are and do. And service is about demonstrating – in the here and now – God’s love and care in very practical ways. Some of us are called to do this through ordination and special ministries. But all of us are called to serve others, in every part of life – by being loving and honest and generous-hearted, in all our dealings with others. 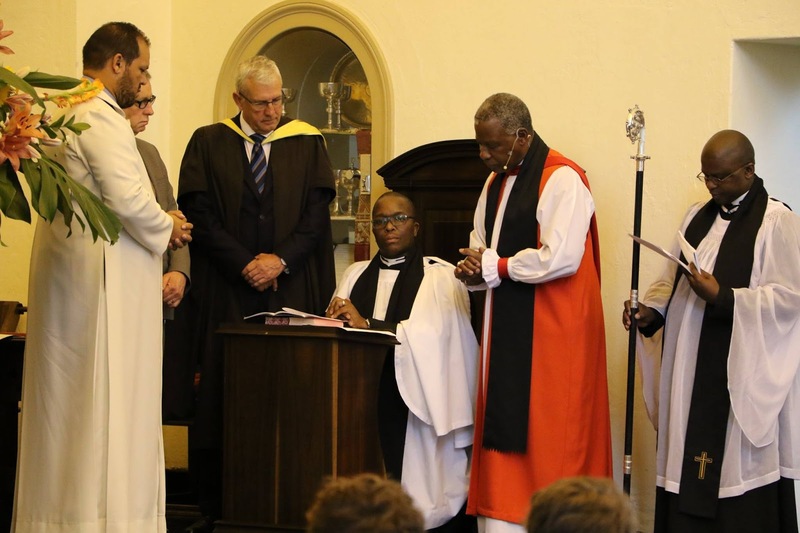 This Parish has a proud history of witness and service, from when you gave succour to the people of Crossroads after their homes were destroyed in the dark days of apartheid to your continuing work through ministries such as The Warehouse. 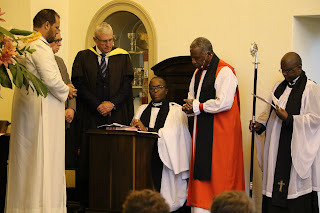 Looking at South Africa today through these three lenses of worship, witness and service, I urge each of you, in your own context, to reflect on and examine, what kind of witness and service should your worship be leading you into today? To what can you witness? And how best can each of us, individually and collectively, be of service to God and God's people in the world today, remembering that our struggle is against the principalities of this world? What witness and service are we called to as we approach national and provincial elections which will be bitterly contested? How can we support the work of Western Cape religious leaders who are part of the Electoral Code of Conduct Observer Commission (ECCOC), which is monitoring the behaviour of political parties and their supporters and working to ensure peace during the electioneering and on polling day? And our prayers, and our reflections on witness and service, need not be limited to South Africa. I have been especially distressed in recent weeks at the plight of our sisters and brothers in the whole Southern African region. After the hope which flared up with the transition to a new president in Zimbabwe, we have seen and heard of peaceful protests being broken up violently, of a prominent pastor being detained, and of people being dragged from their homes and night and beaten up. We have to ask: is President Mnangagwa actually committed to reforms in the way the country is governed? We have seen precious little evidence of legislative reforms so far. If he is so committed, we have to ask: is he fully in control of his security forces? But today is about you, the confirmation candidates, so let me turn again to you as I conclude. As I lay hands upon you, as you begin your new life with Christ, I urge you to embrace this special gift, the outpouring of the Holy Spirit which you receive today. May you grow in faith and in the love of God, as you obey his commandments to be faithful servants within his church and in his world, and to proclaim the good news of Jesus Christ.